Cats and kittens love to be warm, and having a cat bed warmer can keep your beloved pet toasty warm and comfortable regardless of the weather or how cool your home gets. Keeping you kitty warm is just one way for you to tell them you love them. While most people prefer to keep their cats inside as much as possible, there are times when barn cats are useful, or when a feral cat makes its way to your home and ends up adopting you. Taking care of these outside cats isn’t always easy, and if you live in an area where temperatures get extremely cold, you worry about that outdoor cat staying healthy. K & H Pet Products understands that concern, and as the country’s largest heated pet product company, it has designed a product that will help keep that barn or shed cat warm when the weather is at its worst. It’s called the K & H 3093 Extreme Weather Kitty Pad. If you have adopted a feral cat, then chances are you are not going to be able to tame that cat enough to get it to live happily indoors. Having a cat heating pad designed for use in an unheated building will help to keep this cat alive and healthy during the colder months. The Extreme Weather Kitty Pad seems to have all the right features to get the job done. Reviews for this Extreme Weather Kitty Pad are extremely positive, as most customers use this pad to help keep feral cats warm and comfortable during the winter months. All in all, customers were really pleased with this Extreme Weather Kitty Pad and felt it more than met their needs and the needs of their cat. Another K & H cat bed warmer is the Thermo-Kitty Fashion Splash Heated Cat Mat. 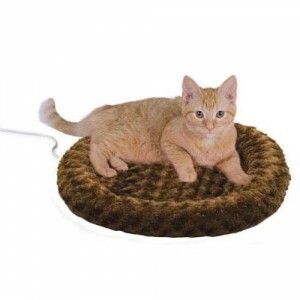 The K & H Thermo-Kitty Fashion Splash Heated Cat MaT works great in a round cat bed, or as a heated cushion when just placed on the floor. This pad is not excessively hot in most cases, but rather gives off heat when your cat actually sits or lays on it. Reviews for the Thermo Kitty Heated Cat Mat are extremely positive, with most customers really liking both the look and the function of this mat. Overall, customers were very pleased with the Thermo Kitty Heated Cat Mat and found their cat really benefited from it. Another indoor cat heating pad by K & H is the K & H Pet Bed Warmer. There really isn’t too much about this cat bed warmer to be impressed about. It’s a rectangular pad that produces heat. 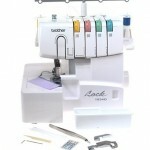 However, it will probably impress your cat no end. 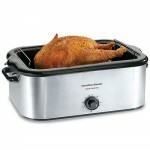 Reviews for this K & H Pet Bed Warmer are good. However, there are quite a few customers who find this pet heated pad either gets barely warm or tends to overheat. While this pet bed warmer got mixed reactions from customers, several customers were delighted with their purchased and found it perfect for keeping their cat warm. The Millard Pet Warmer seems to be a safe way to warm your kitty during those long cold nights. The fact that the pad is set at a temperature recommended by veterinarians will help ensure that you can maintain a warm steady temperature that is healthy for the pet that you love. Reviews for this Millard Pet Bed Warmer are exceptional ,with most customers raving about how well this heated pad keeps their cats warm. This pet bed warmer is extremely popular with customers, and those who purchased it were very happy with how much their cat liked it. Pet Supply Imports was founded in 1961, and since that time has been supplying consumers with quality pet products from around the world. The Snuggle Safe Pet Bed is just one of this company’s many products. It is nice to see a pet heating pad that is non-electrical, as these seem safer than pads with cords. However, you do need to follow the directions for heating exactly, in order to avoid melt down of the heating pad itself. 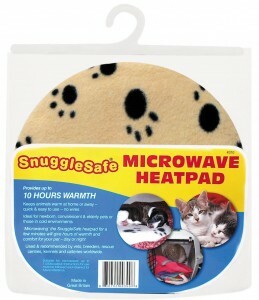 Reviews for the Snuggle Safe Pet Bed Microwavable Heating Pad are exceptionally good. While a few customers stated that they can’t seem to get the pad to hold heat for more than a short period of time, most customers do feel that this pad holds adequate heat for 8 to 10 hours if you follow the directions for heating. Purchasing a cat bed warmer for your feline friend will allow them to sleep and nap in comfort, and it make you feel better too.